Although the Classroom Slice of Life Story Challenge doesn’t begin until March, over my Christmas break I found myself preparing to share it with my students. I’d like to encourage all teachers who have a classroom to join us as well! My students are thrilled when someone from another school comments on their writing and we’d love to visit your classroom blog. For those new to the Classroom Challenge, here are some ways I get my third graders excited to write for 31 days in a row. I use Kidblog and it works beautifully for me, but teachers use many different blogs with success: Edublogs, SeeSaw, even photos of handwritten journals. All work well as long as there is a place to post them on the Internet where other writers can read and comment. 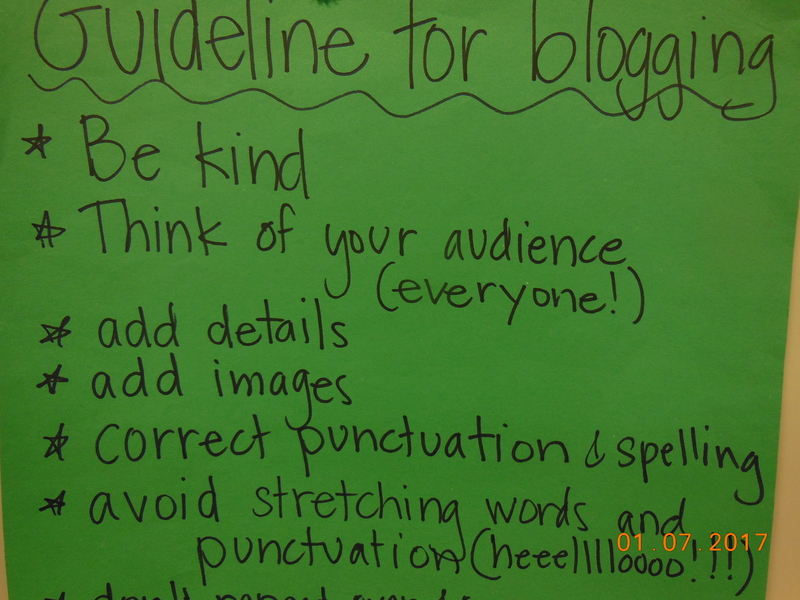 Make a big deal about giving a blog page to each of your students! I show mine how their blog works and we practice together by adding photos and leaving comments. We make a chart for blogging etiquette, and then I let them play for a couple weeks. There are lots of selfies and silly posts at first, but almost all are excited to have a place to write where others can comment. Commenting doesn’t come naturally at first, but it is a big part of the excitement of blogging. Once students notice how fun it is to get comments, most are hooked. Create a chart for commenting etiquette to cut down on those thousands of exclamation points they will inevitably leave. After a couple weeks, volunteers share a blog post with the class. I display that post and have the author read it out loud. The student usually points out mistakes he/she has made and we, as a class, can make compliments on the writing and give suggestions for improvement. This also gives others in the class a chance to admit they have made the same mistakes. This is when I show the students how they can go back to a post and edit. There are always those few who remain reluctant to blog, so once a week I assign a topic—whether it’s a field trip, a book review or a current event—and they blog for homework. It’s a great joy to see reluctant writers smile when they see a comment from another class member. I don’t comment on every post, but I try to leave at least one comment a day. To help me with the comments, I recruit my parents. Occasionally, I will send out an email asking a couple parents to stop by and leave a few comments. Our fifth graders also blog so they visit us and we visit them. The more the merrier. 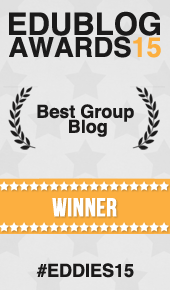 Kidblog allows classrooms to join each other’s’ blogs, making commenting that much easier. In February, I make a small paper notebook with 29 pages. I set aside 10 minutes each day just to write in those notebooks. 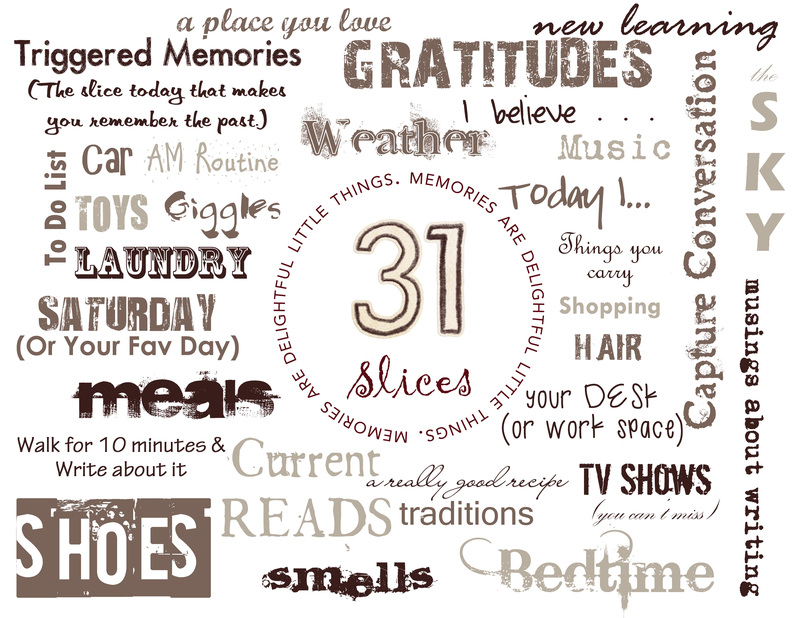 I explain that a slice of life isn’t a make-believe story, it’s tiny bits of your own life or thoughts. Each day I suggest a different topic inspired by TWT’s image (right) and then give them 10 minutes of silent writing time. It starts off slowly for some, but after a few days, most students have the hang of it and begin to whine a little at how quickly the 10 minutes goes. I try to make a big deal on March 1st. I give them blogging super power pills (M&Ms) and we do finger dances to warm up our keyboarding skills. I set aside time in class for three days and then it’s up to them to find time to post on their own. While I’m their biggest cheerleader all month long, I explain that it’s a personal challenge and that they need to make the choice to meet the challenge themselves. They soon find out that challenges aren’t simple. For those who write a slice of life at least 29 days, I take them out to french fries during our lunch break one day in April. Some of them do it JUST for the french fries, but at least they know they can face a challenge and write every day for a month. And THAT is something to celebrate. As for myself, I try to comment on at least one post from every elementary classroom that links to the Classroom SOL every day. I don’t always make it, but I come close. I’m always amazed at some of the gifted writers being groomed by those who are part of the TWT community. So, will you take the challenge with us? Shelly Surridge has taught at every grade level, K-8, but has been practicing her passion for third-grade learners for the past 12 years. She has a Masters in Language Arts and is Nationally Board Certified. Although born and raised in the Rockies of Montana, she is convinced she was always meant to be a Southern California girl. During SOLSC she blogs at stuff. We are gearing up around here! 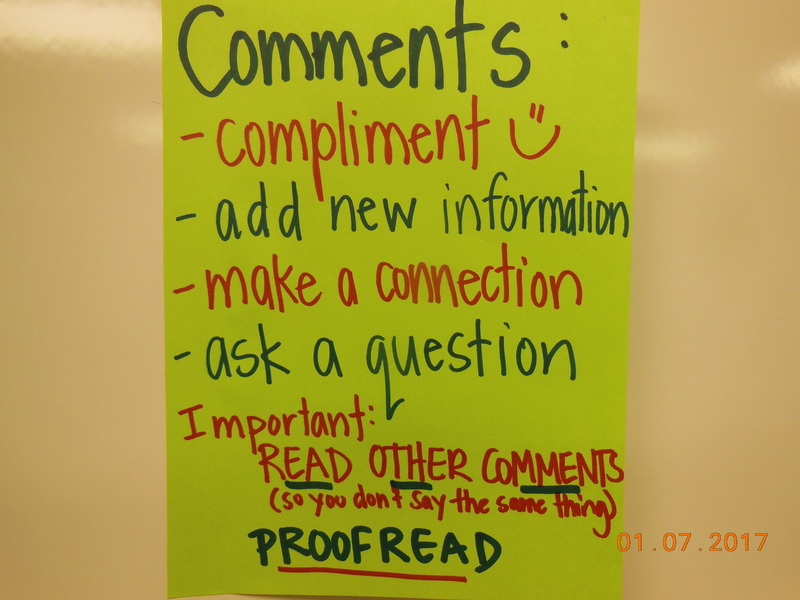 Right now our focus is on commenting practice. After reading today’s comments I know that I need to have yet another mini-lesson about reading previous comments prior to commenting themselves. Thanks for helping to build the excitement. Your comments have meant a lot to my third graders in past years!